Prospectus has been designed with the vision of making planning your curriculum as simple as possible. 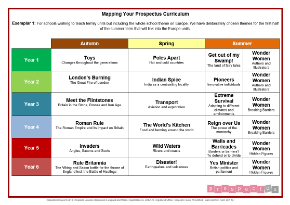 One of the first steps schools need to take in order or implement Prospectus is to identify those themes to be taught within each year group. 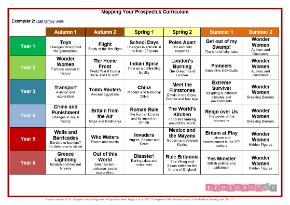 As Prospectus can be taught termly or half-termly we have devised a mapping document to help you identify which themes you will need to cover in order to ensure full coverage of the statutory requirements of the national curriculum. These units can be taught as a complete set of six per year (1 per half term) or as three a year (1 per term) or flexibly as desired.